Pastoral Care--taking care of people in our St. James community that need a visit, help, or prayer is a cornerstone of showing our love for each other. This takes place in so many ways--birthday lunches, cards, visits, and Holy Communion in the home or hospital. Every fall, we make apple and pumpkin pies in our church kitchen and delivered to senior parishioners, and those who have a special need. 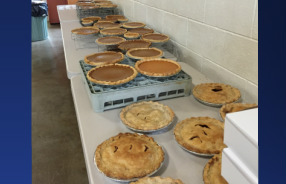 Other pies were brought to community organizations with a note of thanksgiving for their efforts. December we have our annual cookie baking day. Dozens of cookies are baked and decorated. Some of are served at coffee hour after our Sunday service --All are Welcome! Other cookies are put in decorative tins and delivered to parishioners confined to their homes or residing in nursing homes. Others are offered for sale with the profits going to the Youth Group’s treasury. All the ideas, donations of food, time spent visiting, baking, and delivering by many, many people made these events possible. We welcome new energy and ideas! 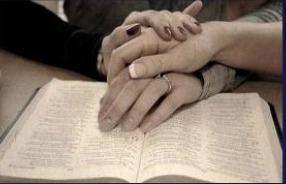 The pastoral care committee is always looking for new and better ways to bring Christ into people’s lives.